Penetradar's vehicular based GPR inspection system shown with the IRIS-L (two non-contacting horn antennas) surveying a parking structure for deteriorated concrete. 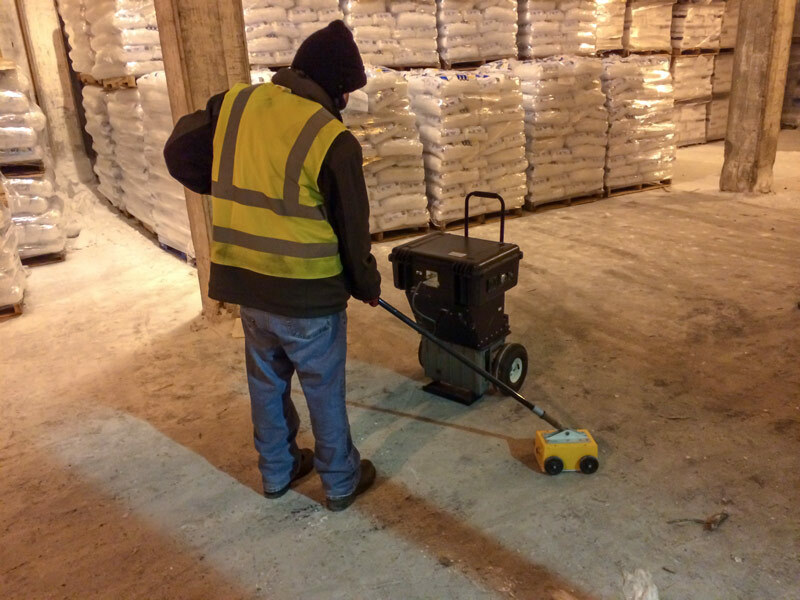 Similar to pavement inspections, Penetradar's IRIS can be used for parking structures and floors to locate areas of concrete deterioration and delamination, locate electrical conduit, map out rebar and determine overlay thickness. Seen above is Penetradar's vehicular based IRIS-L GPR inspection system surveying a parking structure for locations of deteriorated concrete. Continuous radar scans in this application were made three feet apart to ensure complete coverage of the parking structure surface. Through the use of precision DMI (distance measuring instrument), radar scans can accurately locate deteriorated concrete to within 3 inches. 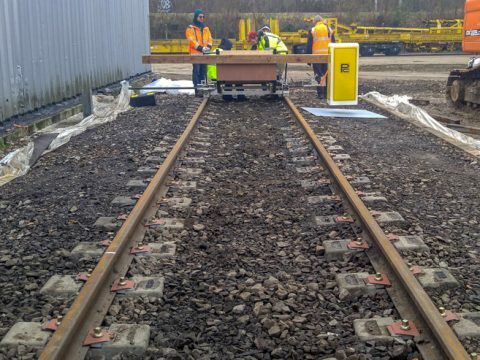 Seen below is Penetradar's IRIS portable GPR system which is optimized for near range inspections such as mapping out the structure of reinforcement steel. Penetradar's IRIS portable GPR system consisting of a ruggedized radar control unit and 2 GHz ultra high frequency (contacting) antenna, used for near range (shallow depth) inspections. 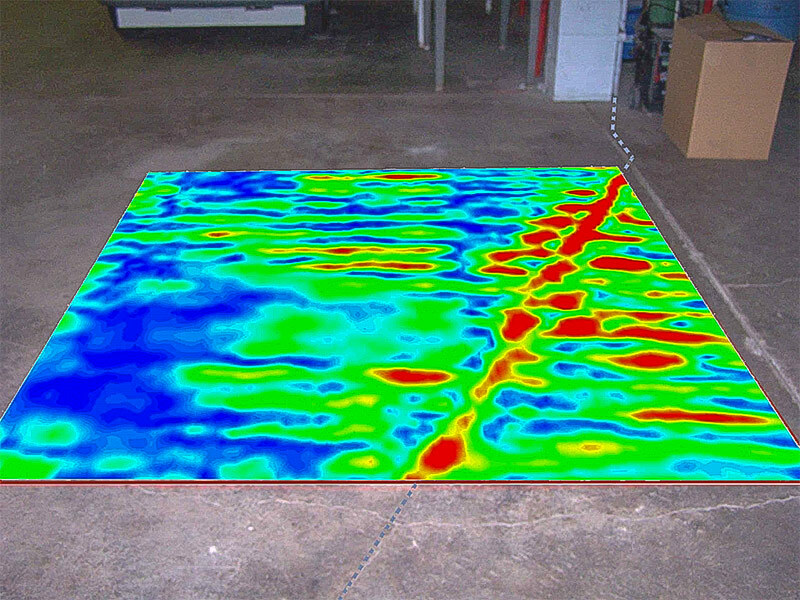 Penetradar's FocusCell (above) software can be used to identify electrical conduit and rebar in a inspection of a concrete floor. 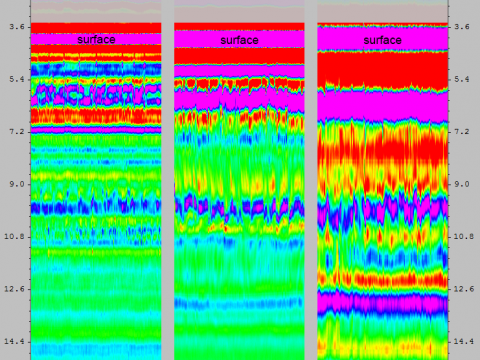 After analysis, results can be delivered in a number of ways. The most effective is to superimpose the results of the inspection onto a plan-view map of the area surveyed. This ensures the accuracy and spatial extent of the detection locations. Results can also be overlaid on CAD drawings to minimize any error in interpreting the location of the detections. 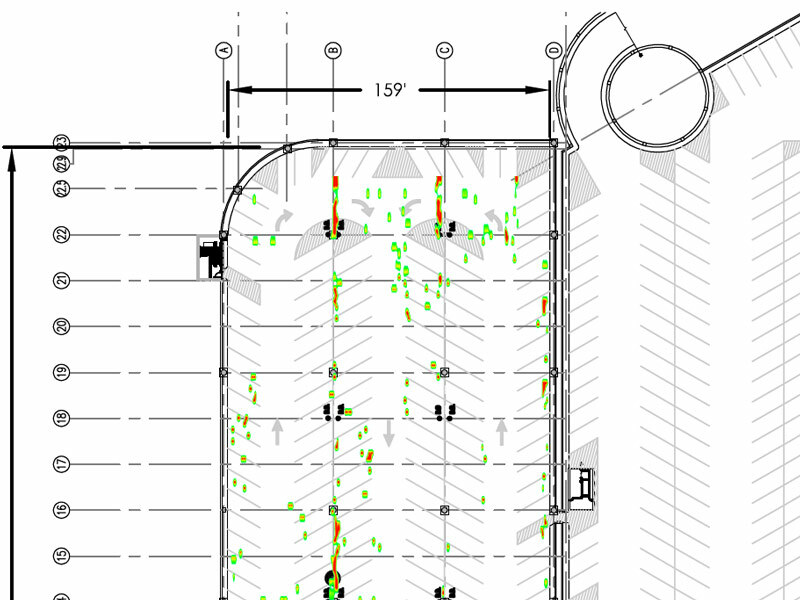 Plan-view mapping (below) of deteriorated concrete overlaid onto plans of a parking ramp structure. These detections are scaled to the size of the map to show actual sizes of deteriorated areas in relation to parking ramp itself.